Niagara Falls water parks are a year round attraction, ideal for nice and exciting family getaways, filled with thrilled adventures, tons of water activities and so many opportunities for pleasure and fun. 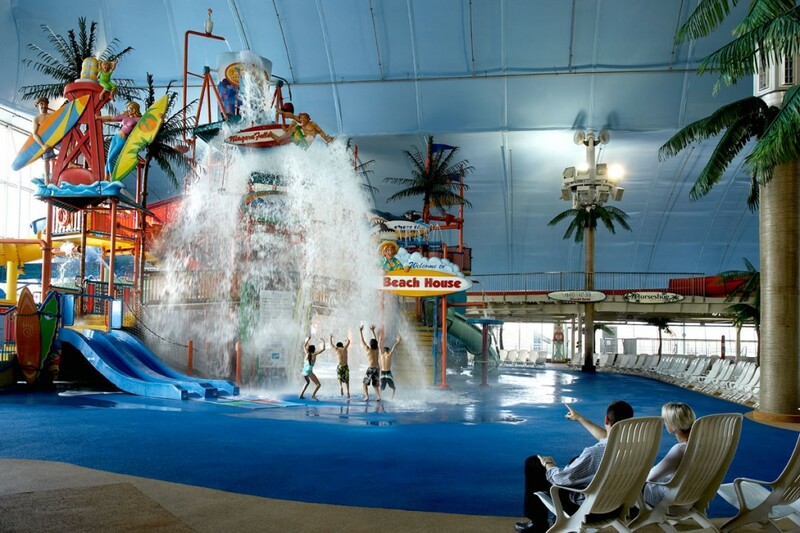 If you are in doubt, which waterpark to choose, you won’t mistake if you pick any of the listed Niagara Falls indoor water parks: Great Wolf Lodge, Fallsview Indoor Water Park or Americana resort Water Park. All the waterparks have many common features, and offering something unique, like; theme rooms, convenient location in the Clifton Hill district or retractable glass roof with an exposure to the sun and fresh air, for a year round fun. Either one you choose, you and your kids are going to be amazed by the sight in front of you and what these water parks have to offer. Niagara waterparks are conveniently built for families with kids. It is not only that they offer entertainment, but decent and inspiring lodging at the site, walkways from hotels to the water park and many restaurants on the site. To avoid a crowd, which is common with waterparks, arrive early in the morning or later in the afternoon, avoid weekends and holidays. There will be a lot of water around you, so bring suitable clothes. Warn your kids about swallowing water from the pools (chlorine and other chemicals are used). There is a height and age restrictions for some water activities. Always have your kids in sight, don’t be distracted by some other activities. Follow all instructions posted around the waterpark. The water depth may be different from attraction to an attraction. Warn your kids what can cause the injury and how to avoid it, like: ride position, contact with other riders, body speed and water flow speed. Leave valuables, money, jewelry, watches, in your room. Before you start a water slide, get in the correct position, face up and feet first. And be careful, it is slippery. Fallsview indoor water park has an indoor connection to the three high class hotels: The Sheraton Niagara Falls, Brock Plaza Hotel and Skyline Inn (these hotels are part of the huge Falls Avenue entertainment complex). This complex offer over 1200 hotel rooms to their visitors. Comparing to other Niagara Falls water parks, Falls Avenue hotel guests must pay an extra to use the water park, but will receive a significant discount. The park is open to the public. Great Wolf Lodge Niagara Falls is the newest among all Niagara Falls water parks, with a property that spreads along half a million sq ft. of land. What that means for our kids? Soooo much water fun. From theme suite accommodation to the exciting attractions, this Niagara Falls water park provides fun for both kids and adults, all year round. Comparing to the Fallsview water park, Great Wolf Lodge offers you a deal where if you book a room the water park admission is included in a price. Its exclusivity (for the guests only) gives you the convenient and hassle free stay, since you spend less time waiting for your favorite ride or meal. Americana resort water park with its retractable glass roof, offers the outdoor feeling while playing inside and tropical weather in any day of the year. Such a structure provides the highest air quality, great solution for kids sensitive on chemicals used for pools. There is over 25 000 sq ft of water fun, with an indoor wave pool, activity pool, water slides, body slides, a video arcade room and much more. 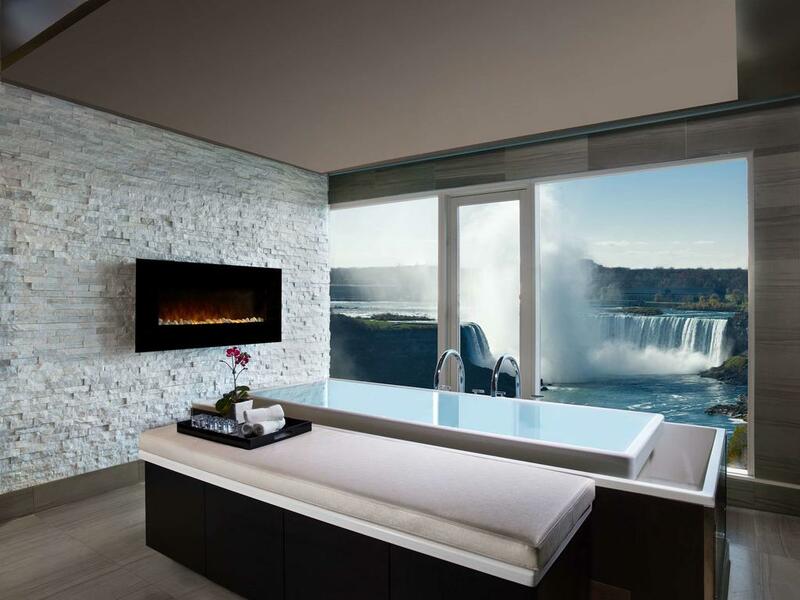 Niagara is the great place to be, for both couple and family getaways. And it is not only because of its natural beauty, amazing places to visit, but many manmade attractions, from Clifton Hill to the Niagara Falls water parks, either organizing all the visits by yourself or taking one of many money saving Niagara Falls vacation packages.